How can management accountants do a better job of budgeting? Can the process also be easier? We believe an operational income statement (OIS) not only provides very significant enterprise performance management (EPM) advantages but also supports an entirely new budgeting process—the operational budget (OB), which has significant advantages over the traditional budget. The OB is also an excellent illustration of the analytic operational inadequacies of traditional accounting as there’s no more traditional effort in accounting than the current budgeting process. 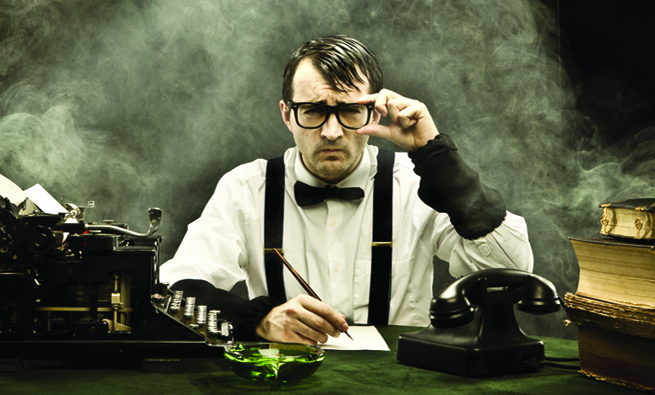 The limitations of the traditional budget process have been recognized for a long time. Examples, quoted from the Beyond Budgeting Institute’s white paper, “The Case for Moving Beyond Traditional Budgeting,” include “the validity of the budget is relatively short…very time-consuming…assumptions are quickly outdated…decisions are made too early and at too senior a level.” In response to these limitations, two alternatives have evolved over the last several decades: activity-based budgeting (ABB) and abandoning traditional budgeting altogether. A variety of books and articles have been published on the subject. We’ll reference two of them in this article. The first book is Management Accounting: A Strategic Focus by Shahid Ansari, Jan Bell, and Thomas Klammer. 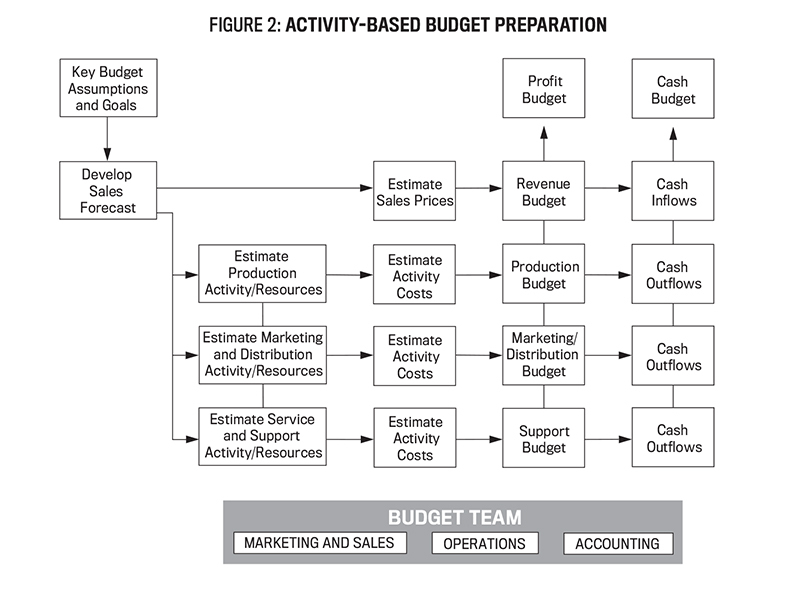 Part of it has been used in the “Activity-Based Budgeting” module, Version 1.2, Cengage Online Learning. The second is the breakthrough book from the Consortium of Advanced Manufacturing-International (CAM-I), The Closed Loop: Implementing Activity-Based Planning and Budgeting, Stephen C. Hansen and Robert G. Torok, editors, Bookman Publishing and Marketing, 2004. Context: The context phase establishes common assumptions about the environment to guide budget preparation” (e.g., inflation rate). Identify the “activity drivers” or factors that cause an increase or decrease in the volume of these activities. The drivers determine the budgeted costs for the next period. Estimate the amount of each activity driver needed for next year’s production. Identify resources needed to perform activities. Estimate the costs for providing the resources. See Figure 1 for the way the traditional budget starts: with the forecast, which is, in turn, passed to the departments. The activity-based budget starts the very same way: with the forecast, which is then passed to the various departments. In this case, they are production (i.e., cost of goods sold or COGS), sales/marketing and distribution, and, finally, service and support (i.e., selling, general, and administrative or SG&A). See Figure 2. At this point, the activity-based budget preparation departs significantly from the traditional budget preparation. Phase 2, identify the “activity drivers,” is what makes ABB so different from traditional budgeting. Basically, this step is building an activity-based model of the various departments from past periods that, in turn, generates the dollar amounts in the activity-based budget. Engineering students learn in their freshman year that the volume and mix of demands on work multiplied by unit-level consumption cost rates, calibrated from activity-based costing (ABC), equals the capacity required—the number and types of employees and the spend level for purchases. 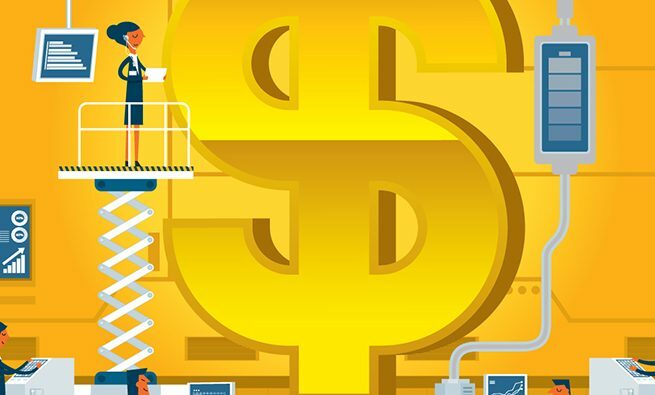 In a traditional budget, while there may be some kind of analytics that support the budget line items of one or more departments, only dollar amounts are provided. In other words, the critical distinction between an activity-based budget and the traditional budget is that the former is cause-driven and the latter is effect-driven. This is what allows activity-based budget models to be built—something that isn’t possible with effect-driven budgets. The first and third of these groups, direct labor and manufacturing support, will be used as illustrations of the kind of detail required in an activity-based budget model. First, direct labor is displayed in Table 1. The drivers are required to develop the budget, where drivers are those variables that, when multiplied appropriately by various constants (i.e., the unit-level consumption rates), provide the desired result. For direct labor dollars, there’s only one driver: production quantity. Everything else in the direct labor model is a constant, as indicated with an asterisk (*). See line items 2, 3, 5, and 9 in Table 1. Next, let’s look at a model with more than one driver: manufacturing support. 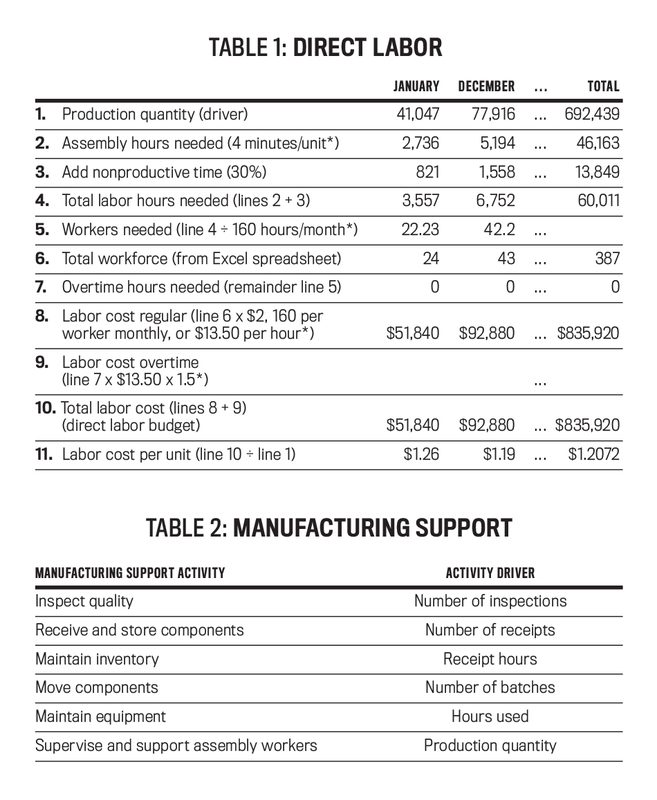 Table 2 shows the different drivers involved in computing the manufacturing support budget. In this case, five additional drivers are required in addition to production quantity: number of inspections, number of receipts, number of batches, receipt hours, and hours used. The result across the company is a wide variety of different drivers. The forecast is used to generate the demands for activities and their associated resources. Resource demand is balanced with resource supply to match the demand, creating operational balance. Having computed the necessary resources and associated activities required to achieve the forecast, they are converted into dollar amounts with the appropriate cost factors to produce a financial projection. A variety of “levers” (i.e., quantity/mix of forecast, resource and activity consumption rates, resource capacity, unit resource costs, unit prices) are then adjusted until a satisfactory financial projection is achieved. 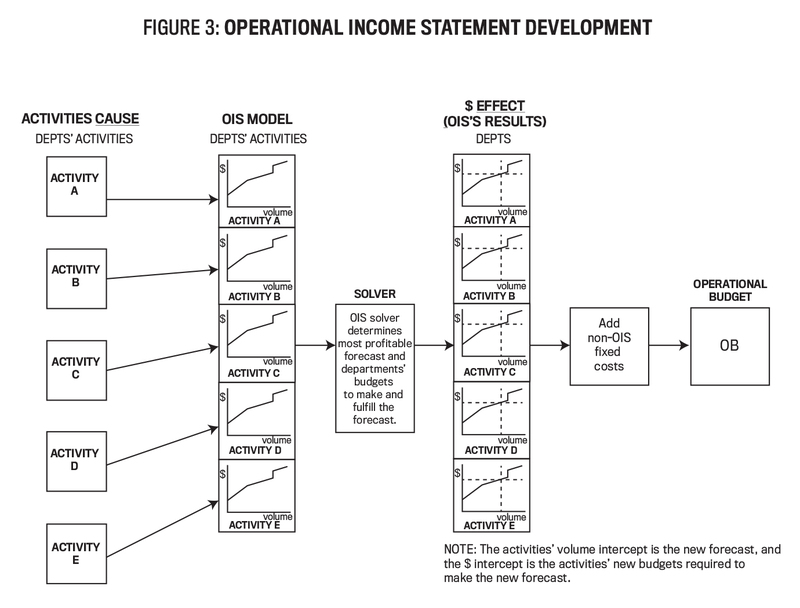 It was a genuinely new and original idea to create an activity-based income statement using just the forecast as the driver. But the concepts presented never found any commercial acceptance. This was due largely to an admission the editors were candid enough to make in the book: “While the concepts are straightforward, performing the necessary calculations is fairly intricate” though they remained convinced that the concepts were “the most significant development in the field of Planning and Budgeting in the last thirty years.” Also, “We view the activity-based budgeting and planning process as having more to do with planning than budgeting. In the long run, a successful organization will switch from a primary focus on generating budgets to a more fruitful focus on planning”(italics added). 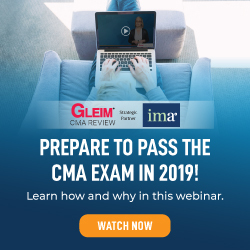 In summary, The Closed Loop couldn’t be implemented because no predictive activity-based modeling software was available to employ the closed loop model (CLM). But now there’s the advent of the OIS. Finally, a number of companies have been planning very successfully without a budget for decades. They were motivated by the same current budgeting process limitations and are supported in their efforts by the Beyond Budgeting Institute (https://bbrt.org). Their approach is to provide managers with decision rights to add or remove employees and make purchases without seeking formal approval from their senior supervisors. But then the managers are held accountable for their spending decisions by monitoring the decisions with key performance indicators (KPIs), targets set by the supervisors. Examples of KPIs are the number of sales calls to prospective customers and number of new products or services introduced. The executives set the target numbers. The actual numbers are then used to monitor the progress against the targets toward accomplishing the strategic objectives that in turn align the managers’ actions and decisions with the executive team’s strategy. The traditional income statement is developed after the budget process is completed. Needless to say, there are a variety of ways to aggregate the budget’s line items to create the income statement. In our opinion, one of the best discussions of this topic is in Randall Bolten’s excellent book, Painting with Numbers. Bolten views the income statement as the “one report every organization needs” and devotes an entire chapter to the subject of creating an income statement that communicates the necessary information clearly and crisply. As illustrated in Figure 3, however, the OIS isn’t developed from the budget. It starts by identifying all the activities contained within the company’s income statement just as with the CLM model. This is the first column in Figure 3. Each activity cost’s relationship to volume (i.e., cost functions) is then entered into the OIS model. This is the second column—where the horizontal axis is volume and the vertical axis is dollars. These cost functions are used for the COGS and G&A portions of the income statement and serve the purpose of relaxing the assumption of a fixed supply chain in OIS. Not included in Figure 3 are the response functions that relax the assumption of a fixed forecast. They represent the sales and marketing costs (i.e., the S of SG&A) and are plotted in reverse fashion to the cost functions. Specifically, the costs are on the horizontal axis and volume is the vertical axis. Including these response functions in what is otherwise a supply chain model are the source of OIS’s innovation. After optimization, as illustrated in the third column, the new forecast is where the vertical dashed lines intersect the horizontal axis of the cost functions, and the associated costs on the vertical axis are the departments’ new budgets required to make the forecast. Finally, the operational budget is created by including those fixed costs not in OIS. 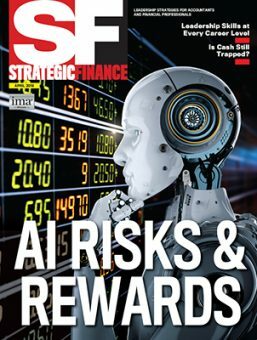 For more details about developing the OIS model, its optimization, and the associated EPM enhancements, please see our February 2017 Strategic Finance article, “OIS for the Operational CFO.” As described there, the EPM results include a new, maximally profitable forecast and the associated supply chain required to make and fulfill the new forecast. It provides significant enterprise performance management enhancements. These EPM enhancements include those described immediately above and others detailed in our February 2017 article. These EPM enhancements are made possible because, unlike the CLM model, which is solved by scenario analysis (i.e., What is the result if we do X? ), OIS is solved by prescriptive techniques (i.e., What is the best possible result?). Updatability/adaptability: Since OIS is a model, it can be updated easily when assumptions change so that it’s always current. This is unlike the traditional budget, which is very difficult to update. As a result, typically it’s obsolete within the first three to four months as we described earlier. Gaming: As with the CLM, the OB is a model created from data to which all parties have agreed. This contrasts with the traditional budget, which is created from the judgments of the department heads. The OB eliminates one of the traditional budget’s greatest limitations—gaming. Line management participation: This benefit flows from the updatability/adaptability. Since OIS is a model, all that needs to be done to prepare next year’s income statement and budget is to update the current OIS model with next year’s forecast and any structural changes to the model (e.g., new facilities, new/improved processes) and optimize the model. There’s one additional point that needs to be emphasized: The OIS works. A consulting firm created a simplified OIS model using data developed during a previous ABC engagement. The model’s results determined that the firm, McCoy Belt Buckle Company (name and numbers disguised), had left a 25%-150% profit upside on the table. See Tables 3 and 4. The reason both profit and revenue were maximized is that the firm was interested in how much profit would be sacrificed if revenue were maximized, particularly in North America (NA) and in Europe and the Middle East (EME), which were both mature markets. Similarly, since McCoy is an iconic brand with a worldwide reputation, it was concerned it had underinvested in sales/marketing in its newest market, the Far East (FE). So a second scenario with a 200% increase in sales and marketing expenditures for the FE was included. As the results illustrate, both concerns were valid. McCoy had, in fact, overinvested in NA and EME and underinvested in the FE. In so doing, the results illustrate dramatically the profit “power” of relaxing the assumption of a fixed forecast with response functions. Without OIS’s analytics, the “power” went unexploited. 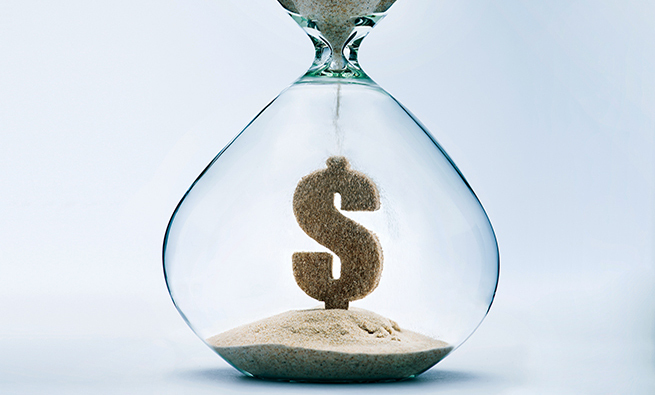 Maximize revenue (and sales/marketing expenditures’ return on investment (ROI)). Demand is added to the base case if profitable. Demand is left in the base case even if unprofitable. Maximize profit. Demand is added to the base case if profitable. Demand is removed from the base case if unprofitable. The results include four scenarios. Finally, it needs to be emphasized that OIS is a CFO-led effort. All that’s required is an operationally focused CFO with a commitment to innovative cross-functional leadership. This is particularly timely because the CFO’s role as an innovator, to be more operations-based, and to lead the company’s advanced analytics efforts are emerging trends documented in the financial trade press. Here are some examples. “Are You Driving Innovation Value–or Stagnating?” by Patrick J. Stroh, Strategic Finance, December 2016. “How to Drive Innovation As CFO” by Jeff Thomson, Forbes, August 31, 2015. “The CFO’s Role in Fostering Innovation” by Frank Friedman, Pete Shimer, and John Lewis, The Wall Street Journal, August 12, 2015. “CFOs Wade Into the Trenches of Operations” by Kimberly S. Johnson, The Wall Street Journal, January 5, 2015. “The Rise of the Operational CFO” by Jeff Thomson, Forbes, August 14, 2013. “CFOs Filling the COO ‘Vacuum'” by Christopher Westfall, Financial Executives International, March 27, 2014. “Double Duty” by David McCann, CFO.com, May 21, 2014. 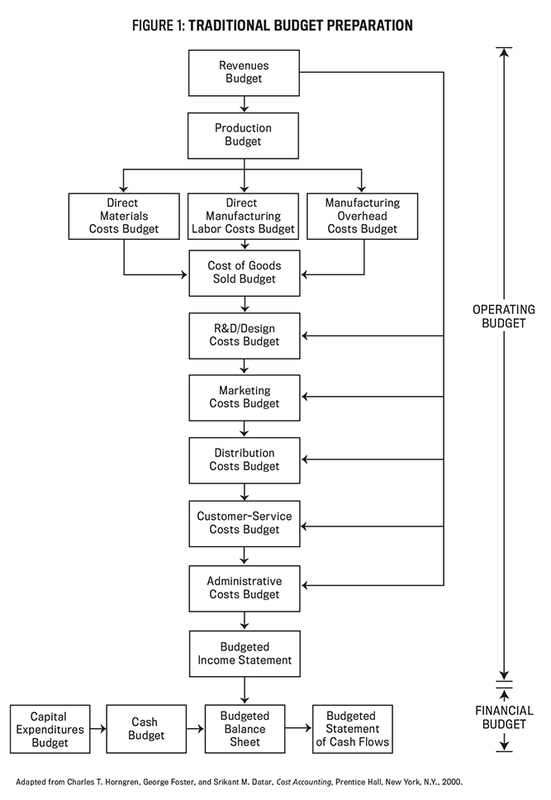 “Repairing the Budgeting Process” by Gary Cokins, Financial Executive, October 2008. 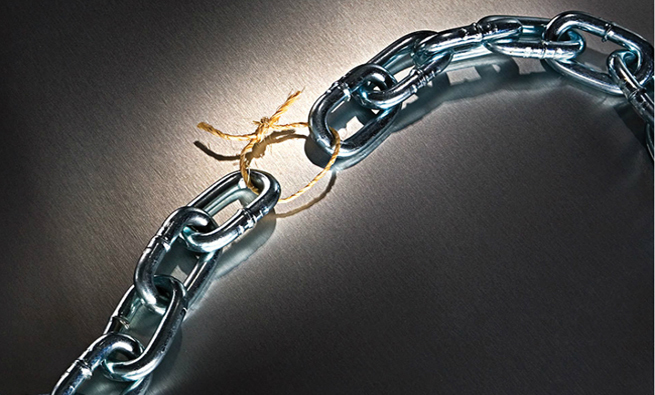 “Why CFOs Should ‘Own’ Analytics” by Fred Friedman, CFO.com, October 29, 2014. “The Promise of Predictive Analytics” by Vincent Ryan, CFO.com, October 26, 2016. “Finance Must Ramp Up Role as Analytics Leader” by Thomas H. Davenport and Adrian Tay, CFO.com, August 26, 2016. “Mining the Data to See the Future” by Gary Cokins, Strategic Finance, November 2014. Although many companies will continue to follow the traditional budgeting process, in these times of ever-increasing competition, volatility, and an uncertain economic outlook, investigating and evaluating whether an operational budget would benefit organizations should be an imperative. We believe the OB would likely constitute an enduring competitive advantage for the reasons we’ve cited throughout the article. They include: (1) the budget’s adaptability and ability to be updated easily so it’s always current, (2) the elimination of gaming when budgets are prepared because everyone participating in the process has agreed on the data, (3) the elimination of line management’s participation in the annual budgeting process after the original operational budget is developed, and (4) the enterprise performance management advantages cited in our February 2017 Strategic Finance article. Gary Cokins, CPIM, is IMA’s executive-in-residence and is the founder and owner of Analytics-Based Performance Management LLC in Cary, N.C. (www.garycokins.com). A thought leader in EPM, business analytics, and advanced cost management, he previously was a consultant with Deloitte, KPMG, Electronic Data Systems (EDS), and SAS. He also is a long-time member of IMA. You can reach Gary at (919) 720-2718 or gcokins@garycokins.com. Alan Dybvig is the managing partner of Dybvig Consulting. His intellectual property was implemented to create OIS, http://operationalincome statement.com. His business experience includes 32+ years with IBM as a director and senior manager, primarily in supply chain and sales/marketing assignments, and then four years with a Warburg Pincus-financed supply chain start-up where the idea for OIS germinated. He has had five articles published in the Journal of Corporate Accounting and Finance. You can reach Alan at (609) 947-2565 or alan@operationalincomestatement.com. DON’T BE STUCK IN THE LAST CENTURY!